Australians who died in World War 1 were not returned to Australia. They remained in marked and unmarked graves in the countries where they fell. Cost and distance prevented most families visiting Australian war graves overseas. Of the 60,000 Australians who died, only one body was returned to Australia, that of General Bridges, who was killed at Gallipoli. 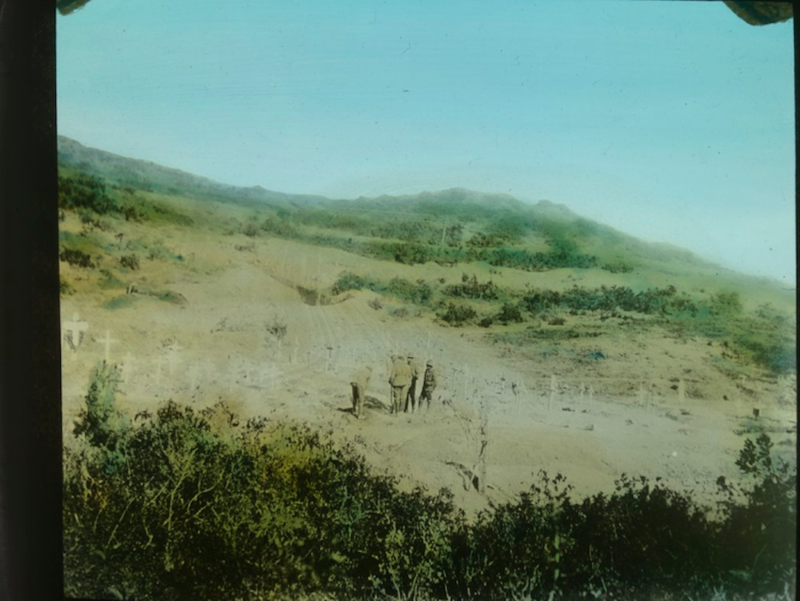 Australian soldiers remained in marked and unmarked graves in the countries where they fell. Many graves were lost in ensuing battles over the same ground. By the end of the war isolated graves were scattered across battlefield landscapes. The Imperial War Graves Commission (from 1960 known as Commonwealth War Graves Commission) decided to concentrate small cemeteries by exhuming bodies and reinterring them in the larger cemeteries we see today. We can only imagine the feelings of the families when they received a photo of their son’s or husband’s faraway grave. If you would like to read more about Edward Hoey please go to his biography page. 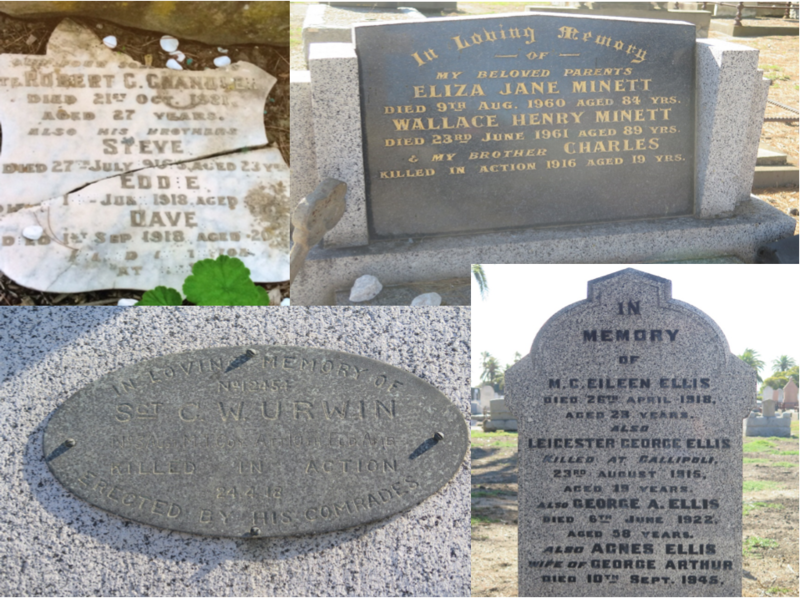 In the absence of graves to visit, the listing of names on memorials and honour boards became for families and friends the physical presence of lost loved ones. Memorials big and small were built and dedicated all over Australia. They served to confirm and validate a community’s contribution to the war but they did far more than that. How was this young nation to make sense of so much suffering? Through the 1920s and 30s communities, individuals and organisations erected monuments to the dead. These cenotaphs and statues were like so many Stations of the Cross – places for stillness and reflection, where stories of healing and hopes can be told in place of a great horror which few could name. Here the men who had been massacred were invested with honour and dignity. They were elevated as “the fallen”; the men who made “the ultimate sacrifice”; “the glorious dead”. 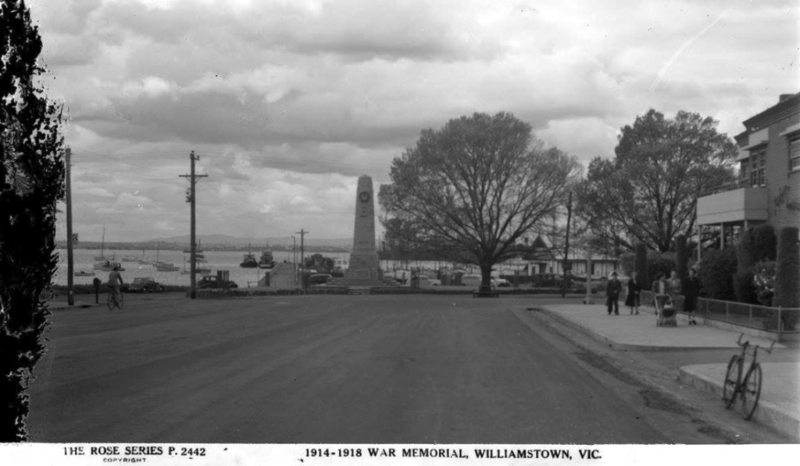 Soldiers & Sailors, Residents of Williamstown who made the supreme sacrifice. The memories of these heroes will live for evermore. Families and friends wanting to keep the memory of their loved ones closer to home often created personal memorials in local cemeteries. When you wander through the Williamstown Cemetery you will find a commemorative plaque for David and Emma Chandler’s four sons. You’ll also see Leicester Ellis, who was killed at Gallipoli in August 1915, remembered on his family’s headstone. Mates, mourning the loss of their friend Cuthbert Urwin, placed a plaque on his parents’ grave. 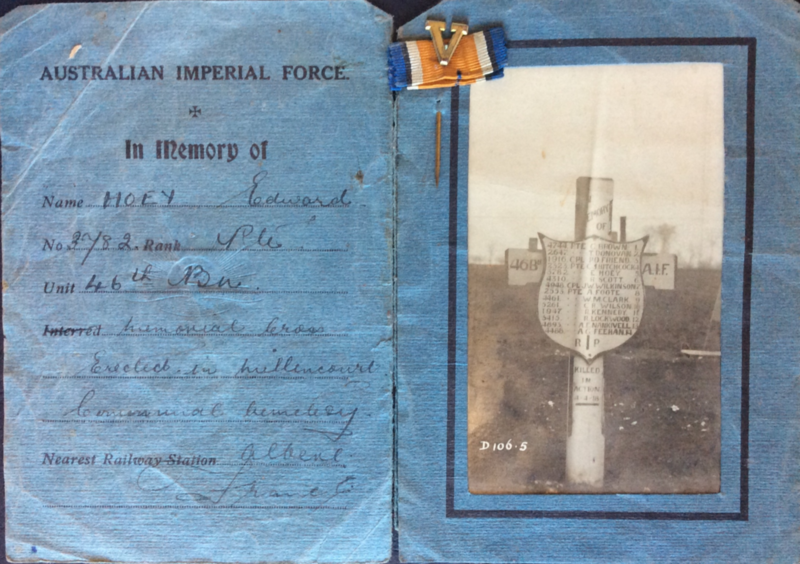 The sorrows and longings lasted a life time for the Minett family – Nellie Minett remembered her brother Charles Minett when her parents died in the 1960s with the simple words, “My brother Charles Killed in Action 1916 Aged 19 years”. “Oh for a glimpse of the grave where you’re laid, only to lay a flower at your head. Mother” (Mrs Elizabeth Hunt, Murat, South Australia writing of her wish that this be inscribed on the headstone of her son, Ivan Cecil Hunt, d. 4 May 1916 and buried in Colombo). Reference: Address by H E Robyn Muddie, Australian High Commissioner to Sri Lanka, 25 April, 2013.